Shouldn’t this be called The Big Beer Store? In 2006, the Minhas sibling’s Mountain Crest Brewing Co. purchased the second-oldest, still-operating brewery in the United States, the Joseph Huber Brewing Co., and rechristened it Minhas Craft Brewery. Today it’s the Minhas’ main outpost for production, along with its Canadian presence — the Minhas Micro Brewery and Pizza Brew Restaurant in operation in Calgary. So close to the border, the company is an expert at importing and exporting beer, liquor and wine to Canada and (in fact) 22 countries around the world. The Minhas siblings understand imports, exports and retail very well. The children of Indian immigrants, the brother and sister grew up working in liquor stores owned by their parents in Alberta, and their first endeavor together was importing private label spirits for a chain of liquor stores in 2002. We give you this enormous preface so you might give credence to a lawsuit currently pending from Minhas Craft Brewery and its parent corporation Mountain Crest SRL LLC. According to a federal lawsuit filed last week by the owners, the company is alleging that Anheuser-Busch InBev and Molson Coors Brewing Co. had a secret agreement from 2000 to 2015 with the government-owned Liquor Control Board of Ontario, which fostered a retail beer duopoly through The Beer Store franchise in Canada. The suit, filed Tuesday in U.S District Court in Madison, contends that the beer companies violated the Sherman Antitrust Act by controlling the only two options for distribution and retail in Ontario. About 70 percent of sales at LCBO stores are ABI and Moslon Coors products, while the two beer companies own Brewers Retail Inc., a cooperative that has over 450 locations doing business as The Beer Store. Mountain Crest believes the secret agreement — exposed by a whistle-blower in 2014 to the Toronto Star — combined with ABI and Molson Coors’ 98 percent ownership of The Beer Store outlets, limited Mountain Crest growth and sales. The company is seeking lost revenues and $200,000 in punitive damages. The suit was filed in the U.S. under the Foreign Trade Antitrust Improvements Act of 1982, which authorizes causes of action for American businesses under American anti-trust laws for lost export sales, even if the conspiracy took place in foreign commerce. That 2014 Toronto Star article is right here. In it, there is mention of a 10-page document, authenticated by an Liquor Control Board of Ontario source, according to writer Martin Regg Cohn, which details an arrangement with the LCBO to protect the retail duopoly of The Beer Store and LCBO. 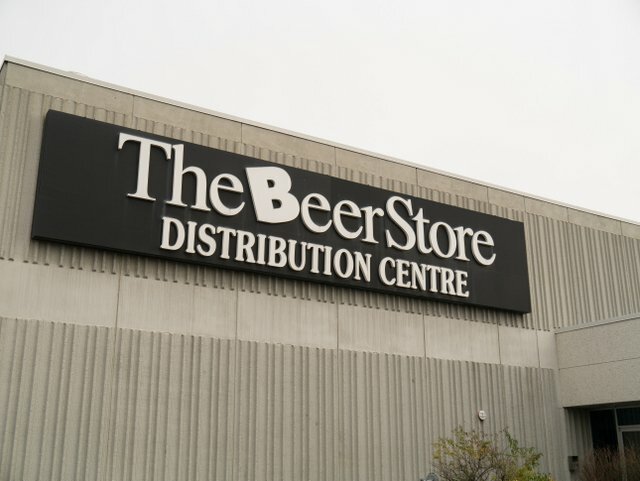 So you know: The Beer Store is a Canadian privately-owned chain of retail outlets that sell (you guessed it) beer. Here’s the kicker: Forty-nine percent of the company is owned by the Labatt arm of Anheuser-Busch InBev of Belgium, and forty-nine percent is owned by Molson Coors Brewing Co. Under Ontario’s Liquor Control Act, The Beer Store was formerly the only retailer permitted to sell beer for off-site consumption — well, besides stores on the site of a brewery or (here’s yet another kicker) other locations owned by the LCBO provincial government. So basically, the Beer Store and LCBO created a duopoly where they were the only entities allowed to sell 6-packs of beers (allegedly). 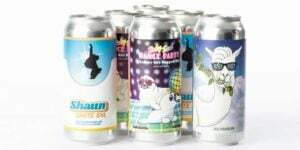 Said alleged duopoly ended on Dec. 15, 2015, with the legalization of 6-pack beer sales at selected outlets, but Mountain Crest and Minhas believe they deserve to get paid. Because yeah, they got fucked. Allegedly. TBS [The Beer Stores] stores do not operate like traditional U.S. liquor stores. The vast majority of stores contain no shelving and only list inventory on a wall. Most products are kept out-of-sight of customers, rolled out on conveyor belts once an order is placed, which “discourages customer shopping and limits competition to brands the customer is already familiar with,” the lawsuit contends. Some stores, however, have a grab-and-go cooler where a limited number of single-serving cans of beer are sold. TBS charges brewing companies for access, but the coolers are mostly filled with AB and Molson Coors products, according to the lawsuit. The restrictions of the agreement included that the LCBO not sell beer in packages containing more than six containers, which ensured that American brewers could not export beer to Ontario in 12- or 24-packs unless they paid to use the TBS stores owned by AB and Molson Coors. A second element of the agreement prohibited “pack-up pricing” that allowed consumers to purchase four individual six-packs and receive the same discount as if they had purchased a 24-pack case.